SUDBURY, Ont. 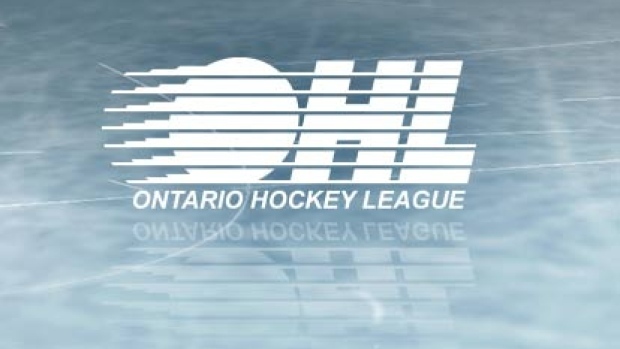 — Tye Felhaber scored in triple overtime as the Ottawa 67's edged the Sudbury Wolves 3-2 on Thursday to win their Ontario Hockey League playoff series. Felhaber put away the winner at the 10:15 mark of the third extra period as Ottawa completed a four-game sweep of its best-of-seven series. At 110 minutes 15 seconds, it was the longest game in the 52-year history of the 67's franchise. "It's my bedtime so I thought we'd end it," said Felhaber. "That's the biggest goal of my career for sure. They're a great team with a bright future and it was a hard-fought series. "Whenever the game goes to six periods it's anybody's game. That was probably my favourite game to play in this whole season. We'll enjoy it — 24 hour rule — and then get ready for Round 3." The 67's will face the winner of the Niagara-Oshawa series in the OHL's Eastern Conference final. The 67's went 1 for 6 on the power play and the Wolves were 1 for 3 with the man advantage. Niagara's Robertson was given a five-minute major and a game misconduct for cross checking at 17:31 of the third period.